Hey Roma family! It’s Melissa writing to you from the Bowery Mission on our second day in NYC! I apologize for the delay in writing to update everyone how the trip is going, but the mission needs so much assistance that they got us to work right away! Our mornings here are extremely early, beginning preparing breakfast at 6am and end at 4pm in the kitchen. 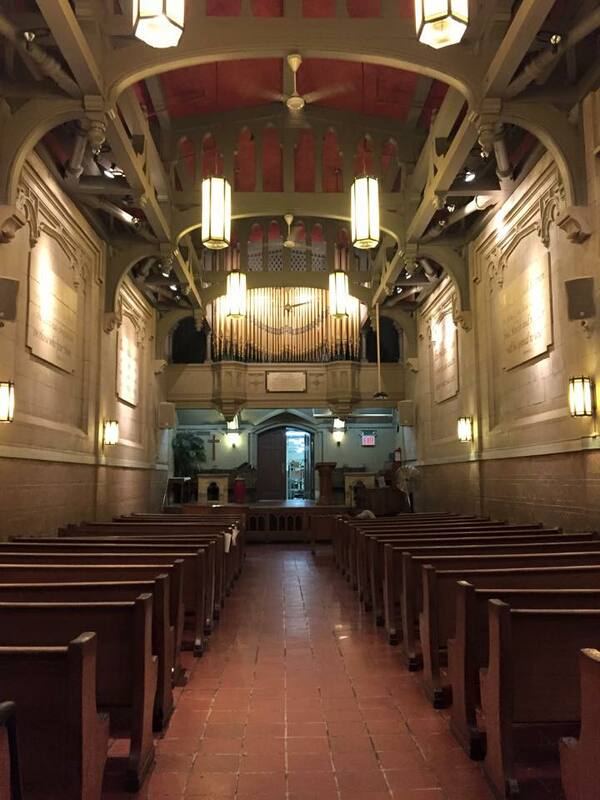 The patrons and students of the Bowery Mission along with the homeless gather for a service in the chapel while we prepare their meals. We are given other tasks, whatever may need to be done (including moving lockers, cleaning out the pantry and unloading and loading food into trucks from and for other soup kitchens). 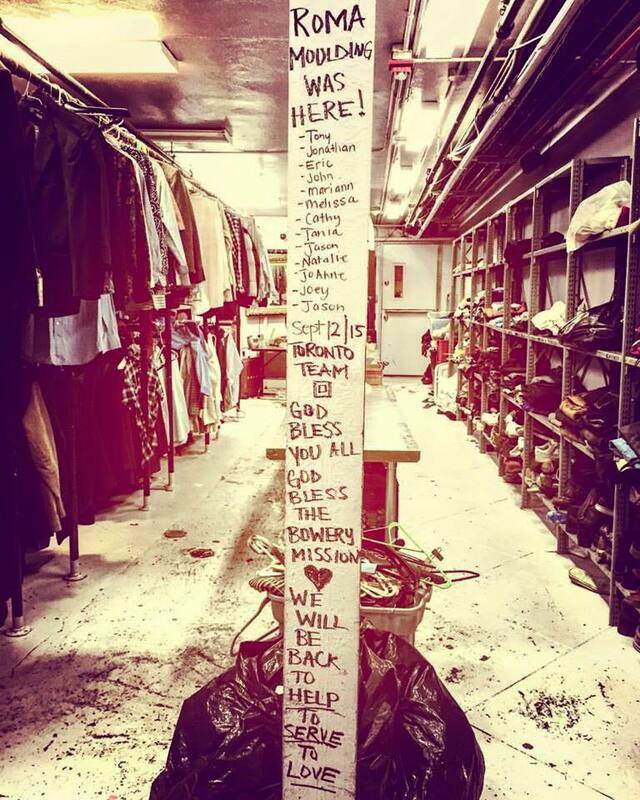 The volunteers here at the Bowery are some of the most generous and warm people I have ever met. 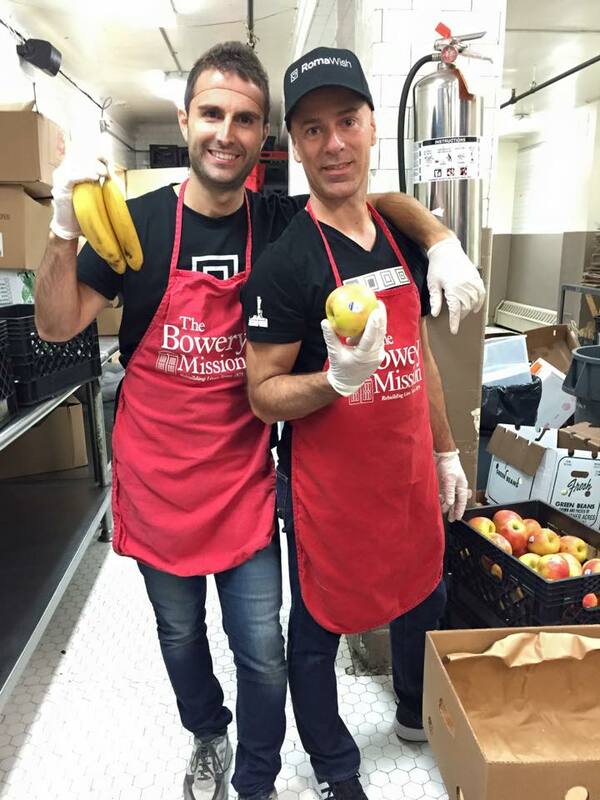 The patrons are grateful and rely heavily on the assistance the Bowery Mission provides them. They line up for a warm breakfast, lunch and dinner, many of them for all three meals in one day, and each face tells a different story. It is hard to watch them beg for just a little more once their portion is completed but the mission always ensures everyone eats before seconds are served. Some of the guests don’t speak, some don’t make eye contact either; but they are all here to be served. 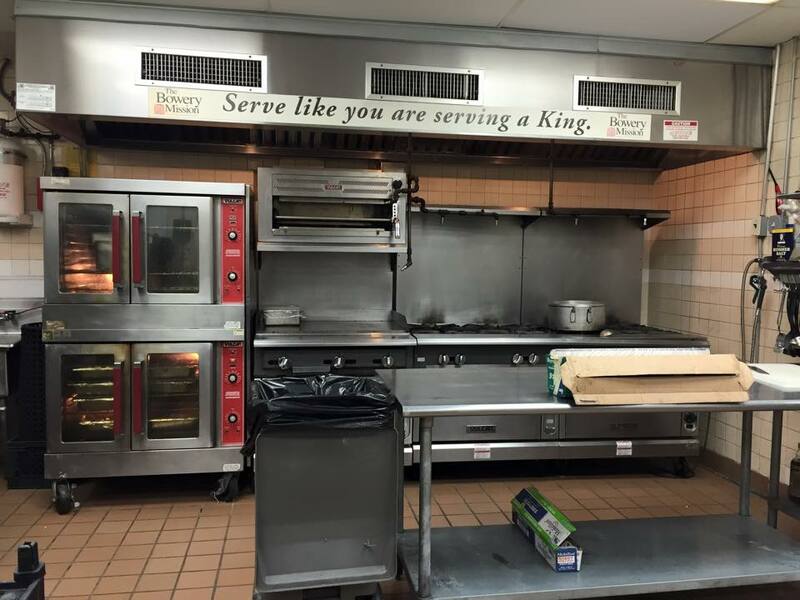 There is a banner that hangs in the dining room that reads “Serve as if you were serving a King.” And we intend to do just that! Hi Roma peeps! Jason here. 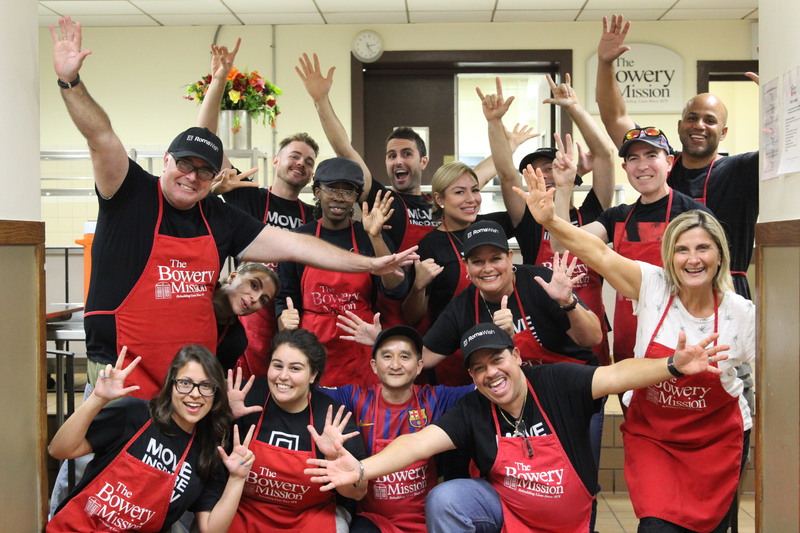 Yesterday was our second day supporting the Bowery Mission and to sum it up it was AMAZING!! We started our day at 6am with prepping for breakfast and lunch. We had the honour of working with one of the most amazing people, the kitchen leader Rocco who lead the team through breakfast. His knowledge of the patrons along with his unique communication and outlook on life made the morning an incredible experience. A team went to a community outreach program to serve breakfast in a park while the rest of us served breakfast at the Bowery. We also had the most incredible opportunity to meet James Macklin, the former director at the Bowery. James shared his journey with us, and as a former student at the Mission he has experienced many situations and his outlook on life is both inspiring and humbling. Lunch went off gracefully and we were able to connect with many students currently in the missionary program. It’s incredible to see and be involved with individuals striving to change their lives. On a personal note, after lunch I got to play basketball with a group from the Bowery at an inner city park. 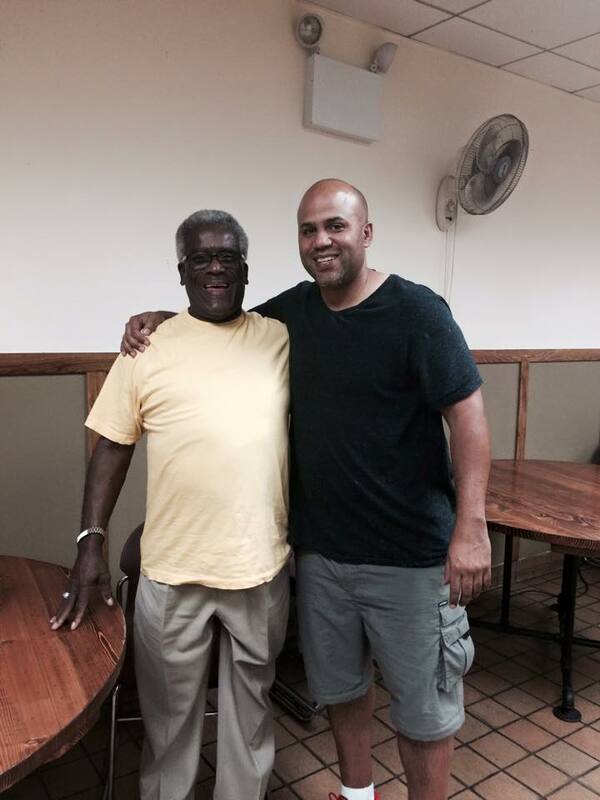 The experience to be invited to hang out with these gentleman on their free time was both humbling and inspiring. The good news is we won! The bad news is I’ll likely be walking funny for the next week. 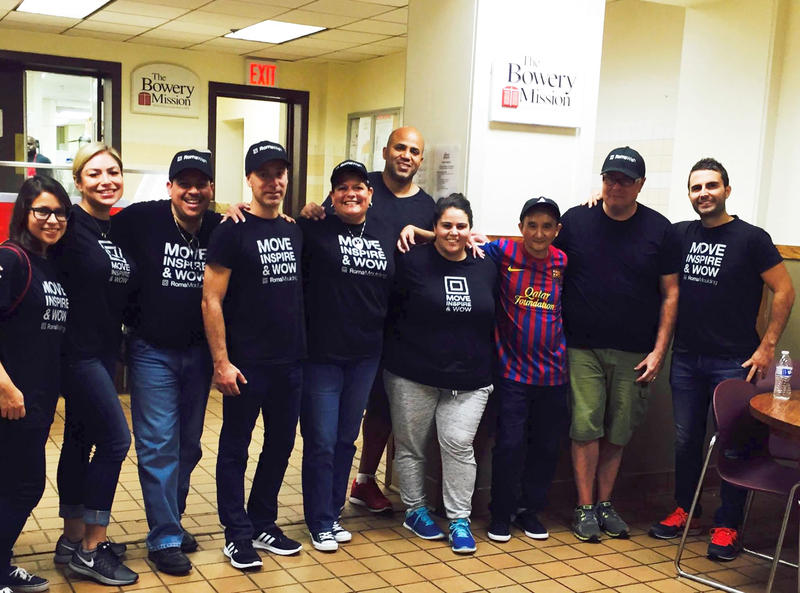 The Roma Wish Team is now back from the Bowery Mission! Stay tuned for the conclusion, as well as Tony’s blog this week on the experience. I’m so proud of this courageous and selfless TEAM.